Living blue is about making lifestyle changes—sometimes big shifts, sometimes simple little things—that can have a positive impact on our oceans. These changes can take place in your home, during your commute or at your workplace. For thousands of children across New England, these changes can happen at school! Are you part of a Blue School? We want to know it! Nominate your school for a Blue School Award here. 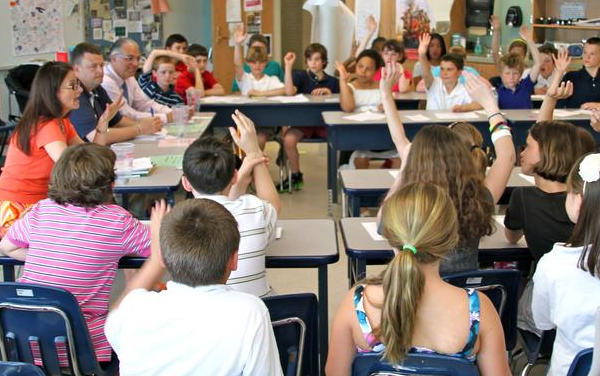 Village School - Marblehead, MA—Last academic year as the 5th grade students at the Village School got started on their yearly persuasive writing assignment, they noticed a real problem on their campus. Overfull trash barrels were allowing refuse of all kinds to be blown around the grounds of the school. In order to do some real good, the students knew they needed to get the attention of others in the community. To do so, they invited representatives from BigBelly Solar, a company that makes solar compacting trash receptacles, local newspapers, town administration, the town parks and recreation officials and the school committee to hear them out. The students put on a convincing presentation and their hard work has led to the installation of BigBelly compactors on the school campus, keeping trash off the grounds and out of the ocean. Carlton School – Salem, MA—The Carlton School prides itself on connecting its students to the ocean and the environment across subjects through both academics and experiential learning. The Carlton School is described by science integration specialist Greg Sheridan as a “green-themed school” and it definitely shows. Besides beach clean ups, environmental and ocean-related service learning projects, trips to the shore and academic learning about the ocean, the Carlton’s building itself has been built in a way that supports sustainability. Feeling inspired? Go for it! Whether you're a student or a teacher, try some of these ideas that can spur your class into living blue. Try Waste Free Wednesdays. Ask students in your classroom to pack all snack and lunch items in reusable containers and bags. Spread the word so other classrooms can join in. Perhaps you can make it a competition between grades. Organize a campus or neighborhood clean up. This simple action brings awareness to students and teaches them how to respect their environment. It also sends a message to members of your community to keep the neighborhood clean. Start a recycling program at your school. Try this website for even more ideas on how you can make a difference. Teachers can start classroom projects and activities ideas to spur a blue movement in your school. Research some threats that the ocean is facing and encourage students to write a persuasive letter to their elected officials regarding the threat most important to them. Students can also write to a local CEO or school board member regarding issues that connect to their everyday lives such as trash disposal, energy use or land management. Objective: Students will understand threats facing the ocean and understand that they have the ability to make a change beyond their classroom or home. Find your elected officials here and here. Teacher ResourcesCreate a Persuasive Writing Rubric or visit Scholastic Teacher for additional support. Depending on grade level, students will understand what an endangered species is. Identify endangered ocean species and understand what humans can do to worsen or help animals on the brink of extinction. 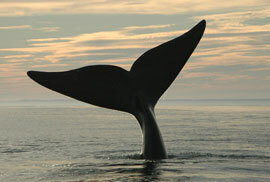 Students can also research the Endangered Species and Marine Mammal Protection Acts. Objective: Students will research a marine endangered species and present a poster, paper, power point or other media to promote education about endangered species and teach others how to protect them. Plastic Debris Analysis in Local Areas Students will understand the process of scientific research by conducting their own research project. Students will carefully sample plastic debris from a sand surface using a provided research protocol. Objective: Show students how to apply established methods of collecting data to a new research project. Students will understand that using multiple samples creates a richer data set that is more representative of the subject described. Teacher ResourcesFor full lesson plan see the lesson, “Discover Plastic Debris on Streets and Beaches” in Watershed Wonders a curriculum that can be downloaded here. Helvarg, David, and Jim P. Toomey. 50 Ways to Save the Ocean. Makawao, HI: Inner Ocean Pub., 2006. Print. 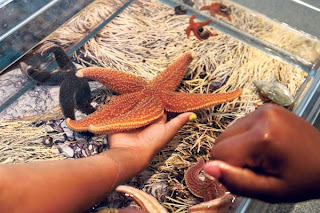 At the Aquarium, we want to acknowledge the great things some students, teachers and schools are doing for the oceans. Nominate your school or teacher for a Blue School award or an Educator Ocean Steward award through our online forms found here.